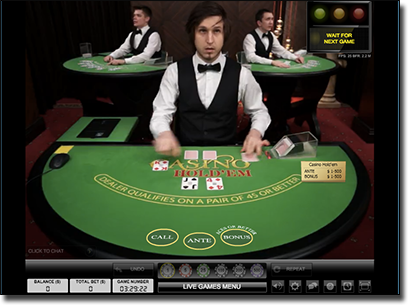 Thrills online casino was established in 2013 and has changed the way online casinos are viewed due to their unique approach at online gaming. Offering a visually appealing design with intuitive navigation, Thrills and its games are accessed entirely via our Web browser (Safari, Chrome, Internet Explorer, Firefox) simply by clicking on the links provided - no download is required. More than 600 casinos games are available on desktop, and over 150 on mobile, each platform offering pokies, progressives, roulette, blackjack, baccarat, video poker, arcade games, scratch cards and more from a variety of popular software developers including Net Entertainment, Thunderkick, BetSoft, and more. New players can open an account with Thrills online casino and opt in for the welcome bonus simply by making a deposit of at least $20. Here you will receive 50 free spins on Starburst and you will have your first deposit of up to $300 matched by 100%. You will need to wager this deposit and the bonus 30x before clearing it as cash. Then on your second deposit you will receive another 50 free spins on Starburst and have up to $200 matched by 50%. You will need to wager your deposit and the bonus 20x before clearing it as cash. Thrills offers their players regular promotions where you can receive free spins, cashback, and more but are usually dependant on how far along on the Bonus-o-metre you are. All online casinos have loyalty programs but Thrills makes things much more fun with their Bonus-O-Metre. Every week Thrills picks a game which offers a Bonus round and as you play you will earn a special treasure (a prize) for triggering the Bonus round and make your way up the metre. Once you’ve filled the metre you will receive a huge prize, such as 200 free spins. Thrills offers over 600 online casino games from almost 15 software developers, including Net Entertainment, Microgaming, BetSoft, Thunderkick, and many more. From pokies to progressives, table games to casual games, and everything in between, there is a huge variety to keep you entertained regardless of the type of player you are. We have included a brief summary for each category available at Thrills casino. Thrills has a huge catalogue of pokies – over 350 video and 3D pokies and over 10 classic variants – separated in subcategories of ‘Pokies’ and ‘Classic Pokies’. Popular video titles includes Thunderstruck II, Avalon, Guns N’ Roses, Starburst, Gonzo’s Quest and more, while top classic pokies includes Mega Joker, Ace of Spades, Irish Gold, and more. Table games can be found under ‘The Classics’ category, where you will also find Video poker. Featuring a variety of roulette (around 12 titles), blackjack (around 28 variants), and baccarat (approximately seven games) from NetEnt, Microgaming, and more each with their own subcategories. Then under the Video Poker subcategory you will find around 42 video poker variants, including popular titles such as All Aces Poker, Deuces Wild, and more. The final subcategory along the horizontal axis is ‘Other Table Games’ where you will find 18 titles including poker, craps, and a variety of table game variants. Progressives can be found under the ‘Jackpot’ category including the popular Mega Moolah by Microgaming, and Mega Fortune by Net Entertainment, both of which are responsible for making players millionaires. There are also an array of real money arcade games and scratch cards for players who prefer casual gaming or are new to the realm of wagering money online and want something simple. We recommend Keno, Ace, or Scratch Ahoy, found under the category ‘Other Games’ in the main menu panel. Thrills also employs an extensive live dealer catalogue, however instead of being located under the one category you will find the games under the ‘Classics’ tab and under each subcategory where there are live dealer games available. Thrills casino have optimised their desktop site for mobile devices, including smartphones and tablets. In doing so they have integrated mobile optimised titles from their top software developers and created a catalogue of over 150 smartphone and tablet compatible games including pokies, table games, video poker, and even two casual games. If you have a modern Apple, Android, Windows, or other device you will be able to play at Thrills mobile casino. Thrills casino employs the latest encryption technology to ensure every time you enter sensitive data, such as your payment information or personal details, you are protected from third party hackers. Additionally, Thrills is governed by the Malta Gaming Authority and the UK Gambling Commission meaning the site has passed a set of strict criteria, including a great payout record, fair games, and a secure environment to play in, in order to be dubbed as safe. There are an array of player-friendly payment methods at Thrills online casino. All are available for deposits, while POLi and MasterCard are the only options not available for withdrawals. Thrills online casino offer 24/7 customer service, so if you have an issue you can contact a helpful customer representative to get it resolved quickly.